It was able to be used without any problem. I think that it is a good product. This review is about item#5526227. Changing from plus volts, detachability is good and workability has improved. This review is about item#5526105. It can be used normally. Since we do not use it in large quantities, the number of entries of this order is exactly right. It is saved when there are variations such as neck attachment. This review is about item#5525922. There is only a small amount in the home center, I use it to use about 30. So I have to buy two bags, it will remain as inventory. I want you to add 500 in the small box to the lineup. This review is about item#5526281. Since I did not have anything of this size and color in the home center, I bought it. It was not exhausted at all, but it could be used without problems. This review is about item#5525807. 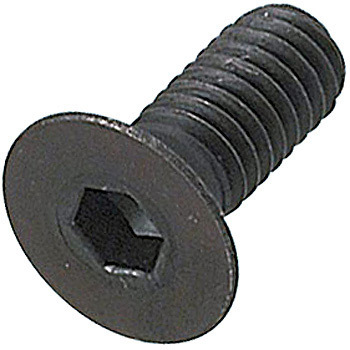 Exterior parts of the air gun have a lot of hexagon countersunk screws, but I ordered it because I do not see it at home centers etc. It suddenly became necessary, arrived immediately after ordering, it was in time. Thank you very much. This review is about item#5526263. Material seems to be problematic, I will continue to ask and continue from now on. This review is about item#05526281. It was a thing I wanted, but black juice covered with oil got in my hands. Is there no choice to prevent oxidation? What? 1 Although I wiped it while assembling it, it is quite troublesome work. I arrived early and it was saved because it was a product I could not find in the store! This review is about item#5525773.